Become a master mixologist with just 10 simple recipes. You’ll never have to drink a vodka-soda again. 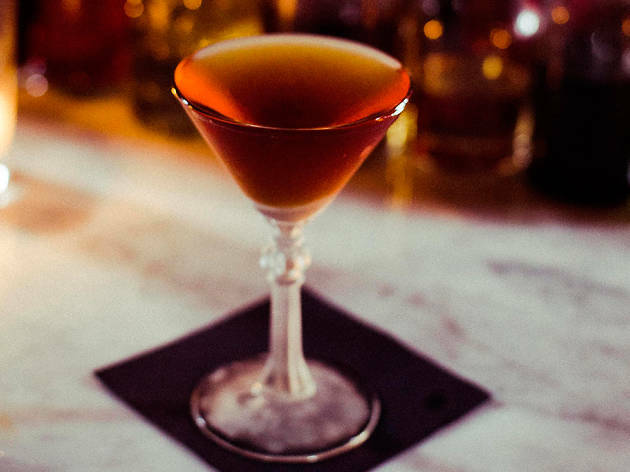 Sure, there are some decent bars out there in New York and L.A., but there are also plenty of times you’d rather practice craft cocktail sorcery in the comfort of your own apartment. 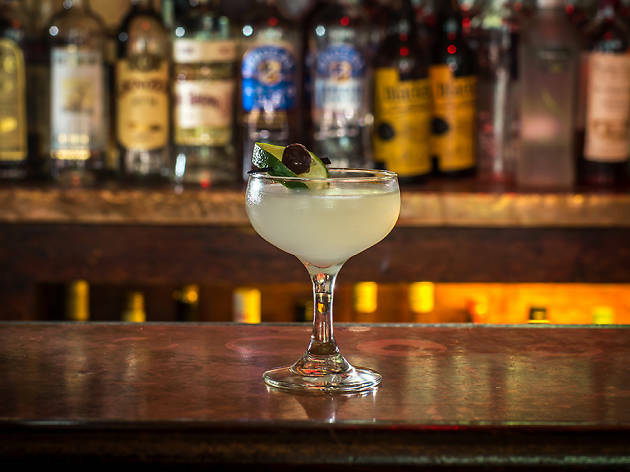 Whether you’re throwing a boozy brunch party, hosting a romantic dinner or planning a big date night with Netflix, drink to impress with intuitively layered libations, not just some run-of-the-mill martinis. We’ve compiled a list of 10 cocktails to elevate your quaff-making game, separating you from the pack and securing your status as a true cocktail geek. 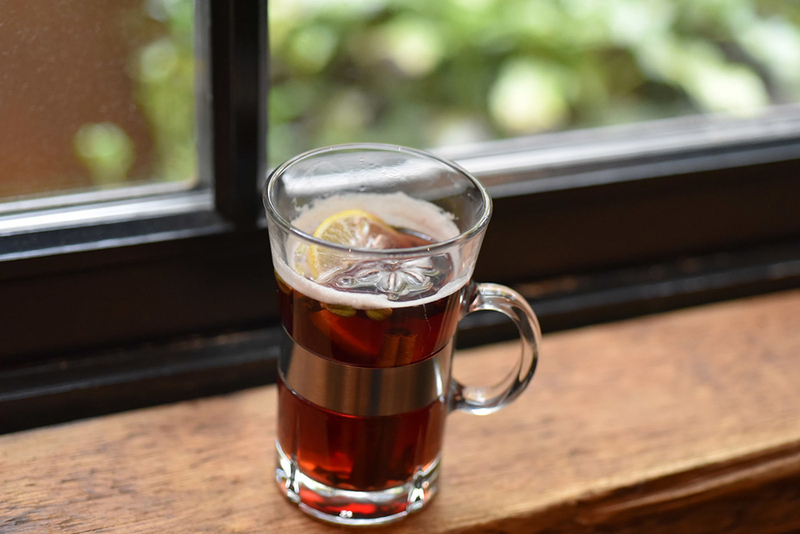 Start stocking your bar with rum, bourbon and spiced plum tea now. If you’re drawn to the medicinal effects of a classic brown liquor–laden hot toddy, try your luck with a Penicillin—a Scotch whisky cocktail highlighted by the healing properties of ginger and honey. 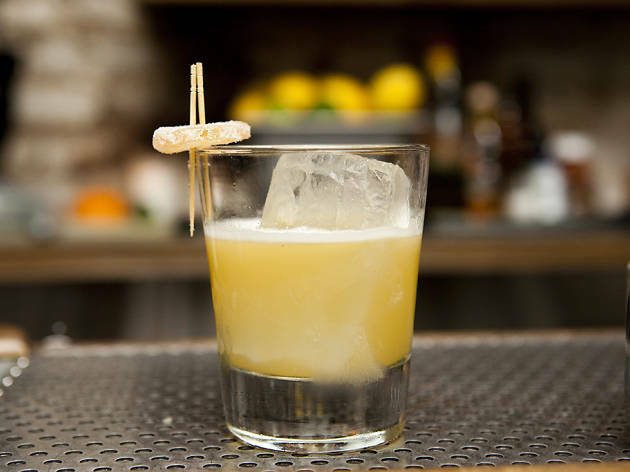 Created by bartender Sam Ross of New York’s Attaboy, the Penicillin takes the medicinal cocktail to the next level, calling for muddled fresh ginger, homemade honey syrup, lemon juice and not one but two types of Scotch—a blended base with a single malt float. We feel better already. In the bottom of a cocktail shaker, muddle the fresh ginger until well mashed. Add the Famous Grouse Blended Scotch, lemon juice, honey syrup and ice. Shake about 20 seconds, or until well chilled. 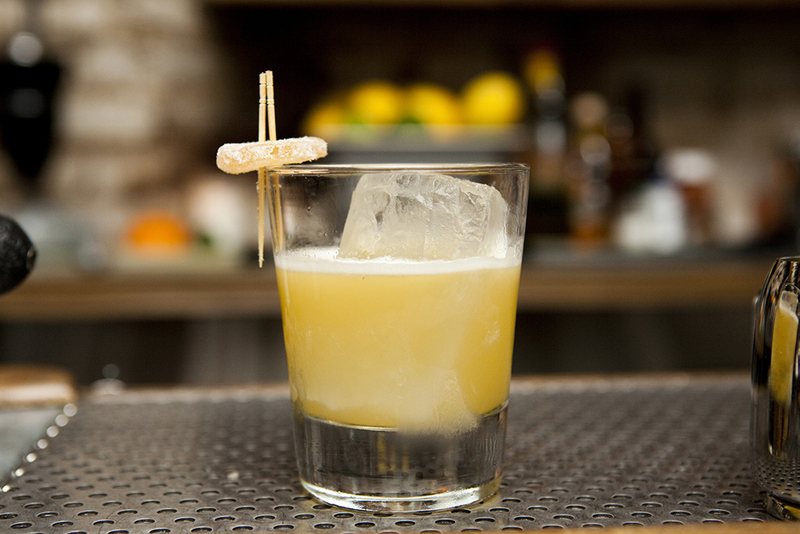 Strain over an ice-filled rocks glass, then top with a Laphroaig Single Malt Whisky float. 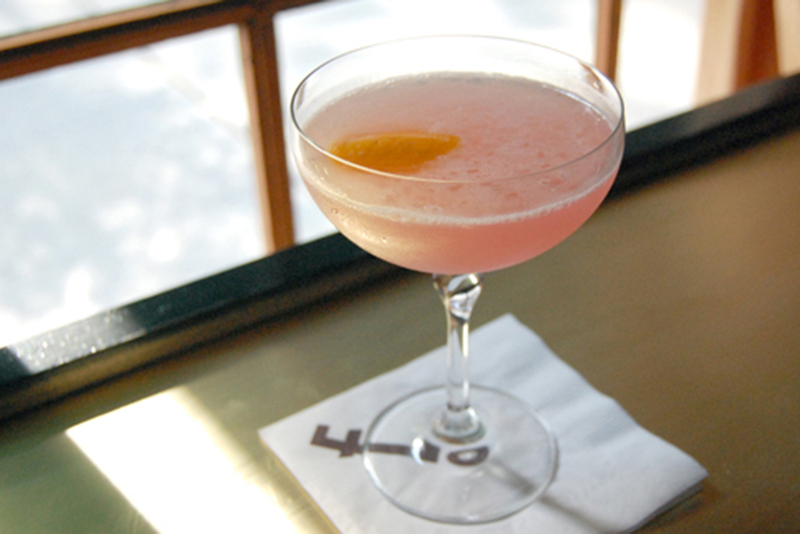 This citrusy scotch-based cocktail first appeared in print back in 1930 in Harry Craddock’s The Savoy Cocktail Book. 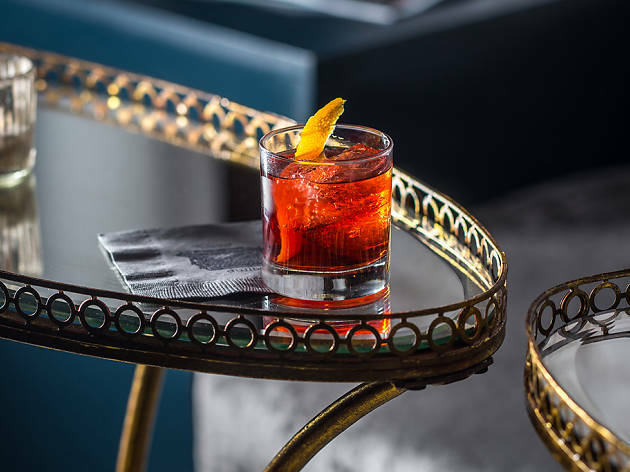 Named after the classic Rudolph Valentino movie about bullfighting, the Blood and Sand cocktail exhibits a delicate balance of smoke and fruit that drinks well year-round, providing opportunities to prove your cocktail-making prowess through all four seasons. Add all ingredients to a cocktail shaker and fill with ice. Shake, then strain into a chilled cocktail glass. Twist orange peel to express oils over the cocktail, then add it as garnish. In a collins glass, add Cynar, mint, simple syrup, grapefruit and lemon juice. Gently muddle. Add ice, soda and a dash of bitters. Add mint leaf to garnish. Created by bartenders Henry Prendergast and Robby Haynes of Chicago’s Analogue, the Slow Fade is a modern riff on the classic negroni, combining equal parts mezcal, Campari and blanc vermouth with a dash of Angostura bitters and a touch of elderflower liqueur for added depth. 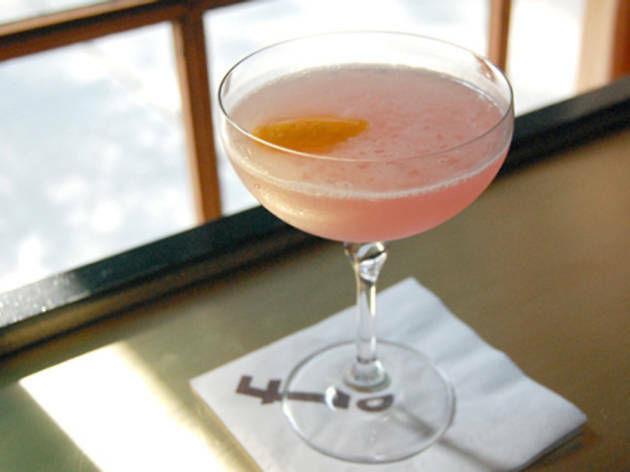 Its complex layers of smoke, sweet and bite ensure an incredibly well-balanced cocktail. Combine all ingredients into a mixing glass. Add ice to chill. Stir, then strain into an ice-filled rocks glass. Twist grapefruit peel to express oils over the cocktail, then add as garnish. 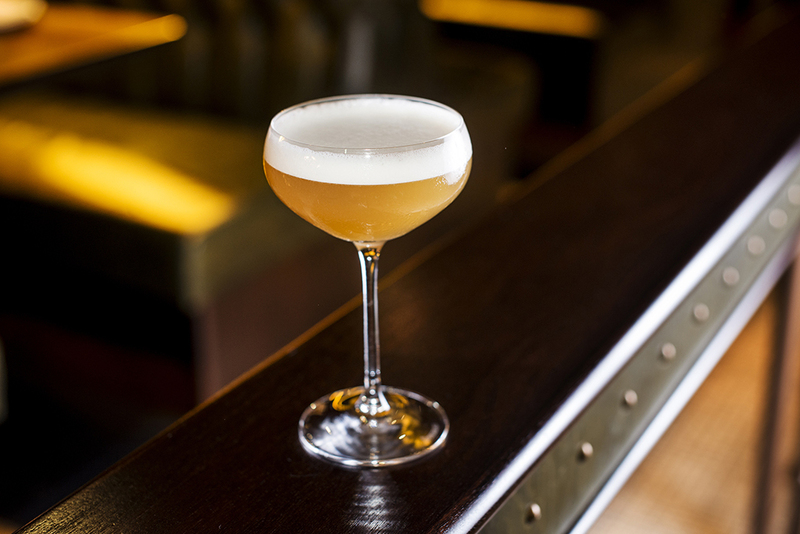 For a sophisticated twist on a cocktail classic, garner inspiration from New York’s iconic Bemelmans Bar where whiskey sours are replaced with Red Velvets—a refined union of rye whiskey, spiced plum syrup, lemon and egg white finished off with a dusting of bee pollen. Because, let’s be honest, honey is so pedestrian. 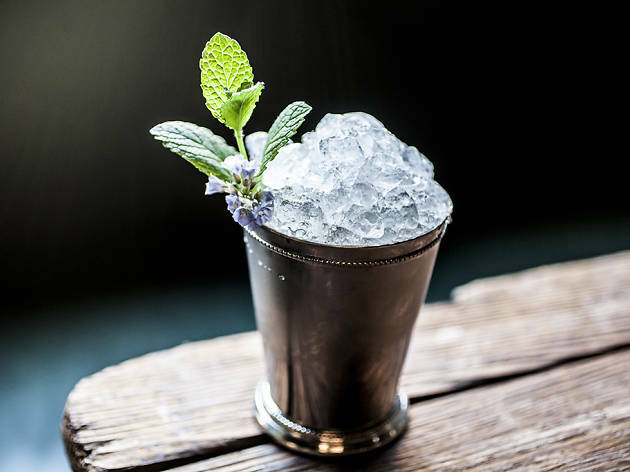 Combine all ingredients in an ice-filled cocktail shaker and shake well. Strain into a martini glass and sprinkle with bee pollen. 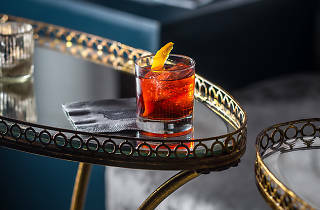 According to Simone Goldberg, bartender extraordinaire at New York’s vegivore-friendly hot spot Narcissa, her Vaquero is a boulevardier meets an herbal mai tai. This winter-ready daiquiri ventures far beyond your typical rum-lime-sugar standard, marrying a Buffalo Trace Bourbon base with bitter Aperol, zesty lemon, spicy Chile Liqueur and earthy sage. In a cocktail shaker, muddle pineapple chunks and sage leaf. And ice and all remaining ingredients, and shake well. 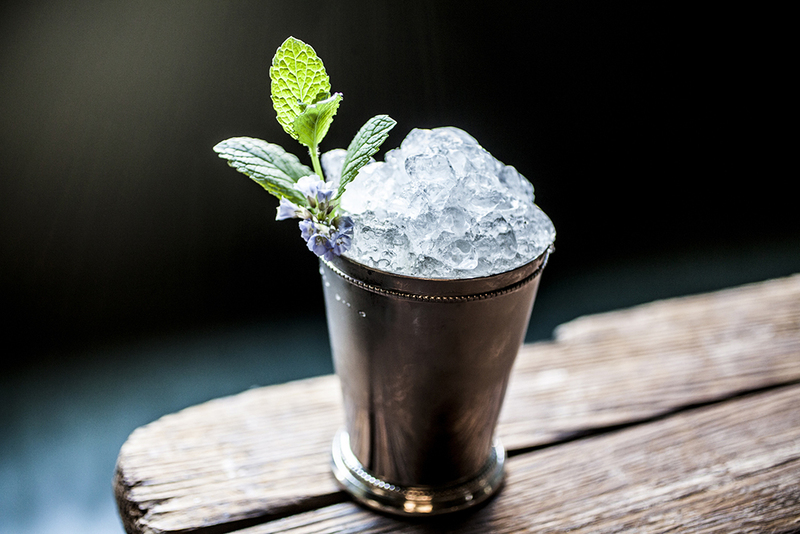 Strain into a coupe glass and garnish with a sage leaf. 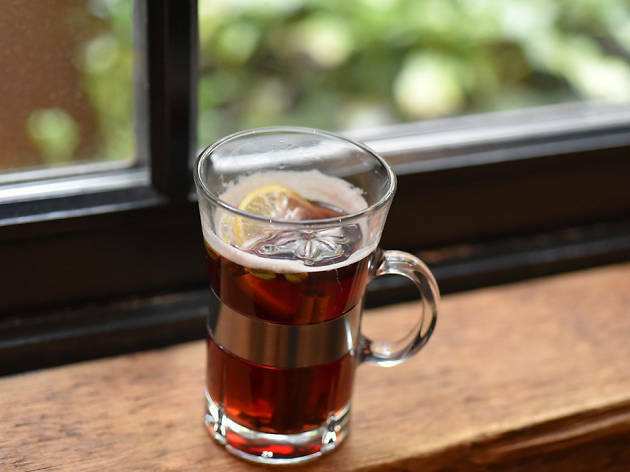 Anyone can make mulled wine, but only true enthusiasts pair their cinnamon sticks with anise, cloves, fennel and cracked white peppercorns. 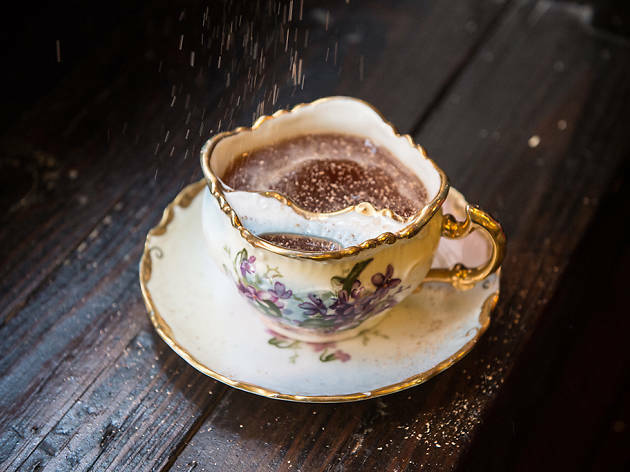 Created by Bobby Heugel of Houston’s Anvil Bar & Refuge, this mulled medley of Chinese spice and everything nice proves that even the simplest of cocktails is worthy of an upgrade sometimes. In a saucepan, bring ½ cup water and the sugar to a boil until sugar dissolves. Remove from heat and set aside. In a large saucepan, combine Old Vine Zinfandel, port and spices. Bring mixture to a slight simmer, reduce heat to low and cook for about 10 minutes. Strain mixture, discarding the spice debris. 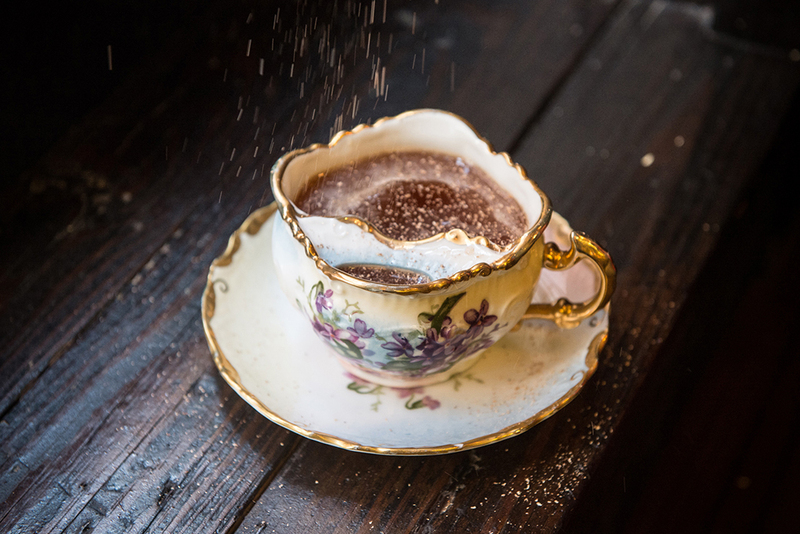 Pour two tablespoons cognac and one tablespoon reserved syrup into a punch glass. Add ¼ cup mulled wine and stir to blend. 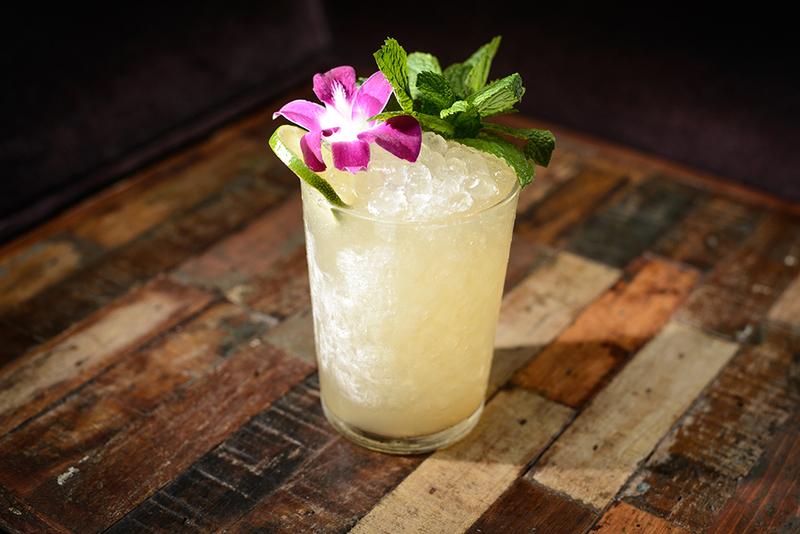 Invented by Don the Beachcomber in 1941, the Navy Grog is considered one of the most authentic tiki drinks, staying true to its recipe roots over time. 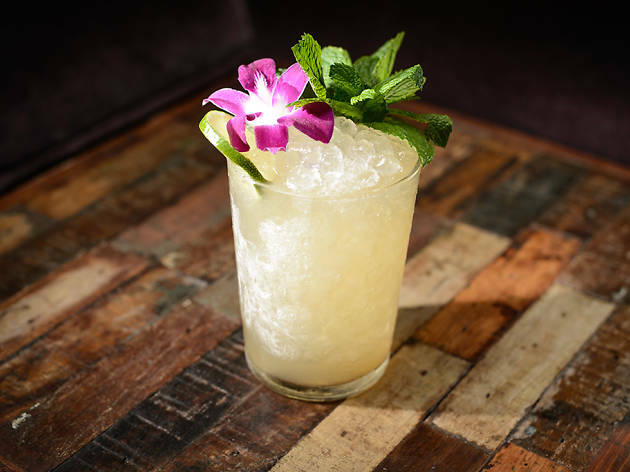 Traditionally, the three-rum combo is served in a rocks glass over a mountain of snow cone–shaped crushed ice, ensuring each and every sip is just as cold as the last. Fill a cocktail shaker with ice and add all ingredients. Shake well, then strain into a crushed ice-filled double rocks glass. Garnish with a mint leaf. 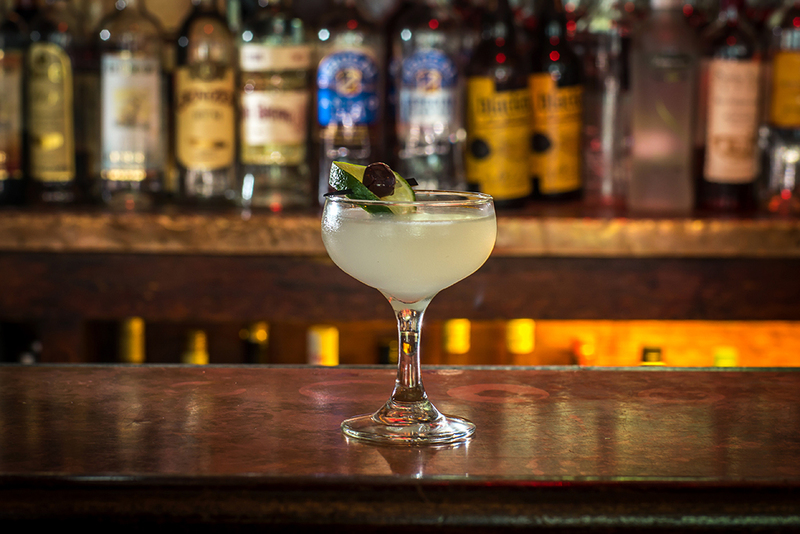 Next St. Patrick’s Day, consider the Irish Cocktail your ideal antidote to mandated green beer and Irish car bombs. 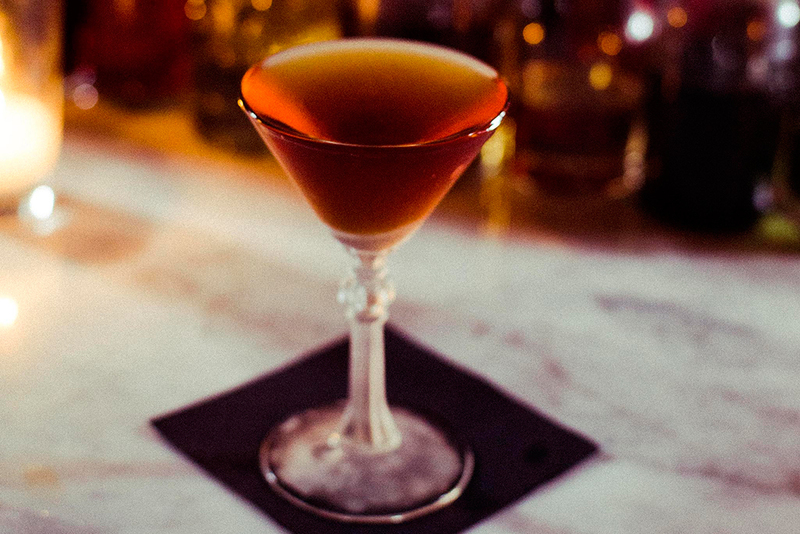 First appearing in the 1888 edition of Harry Johnson’s Bartenders’ Manual, this Irish riff on a classic Manhattan combines Irish whiskey with the aromatics of orange curaçao, the sweet cherry creaminess of Luxardo Maraschino and the bittersweet warmth of Pernod pastis. In a pint glass, combine all ingredients over ice and stir. Strain into a chilled cocktail coupe and garnish with an orange twist. Looking to celebrate with a refreshing vodka cocktail? Forget about the basic vodka-cranberry mixture and opt for a Jubilee instead. 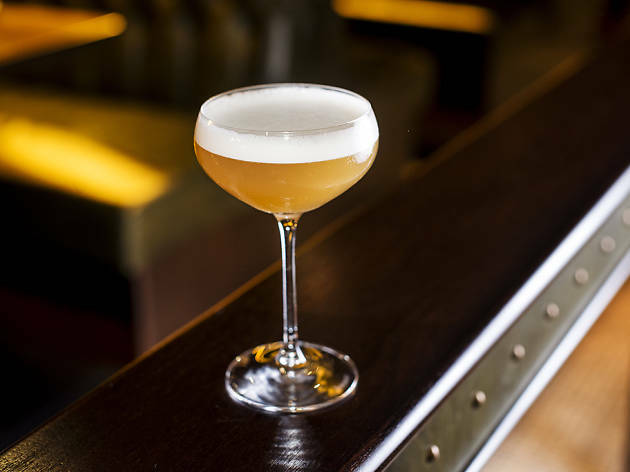 The Jubilee dates back to 1930s London when Harry Craddock, head of American Bar at the Savoy Hotel, created the festive elixir as a tribute to King George V during his 1935 Silver Jubilee. While jubilee variations abound, this thoughtful fusion of vodka, dry red wine, spiced pear liqueur, maple syrup, lemon juice and seltzer water will prove to guests that you’re capable of much more than typical party punch. In an ice-filled wine glass, add all ingredients except the seltzer. Stir gently, then top with a splash of seltzer. Garnish with a pear fan and grated nutmeg.